If you’re like most bass players your pinky is your weakest finger. Here is a quick exercise to help you build strength and independence in all of your fingers, but giving an extra workout to your 4th finger. Be sure and play this slow at first and keep on the tips of your fingers. 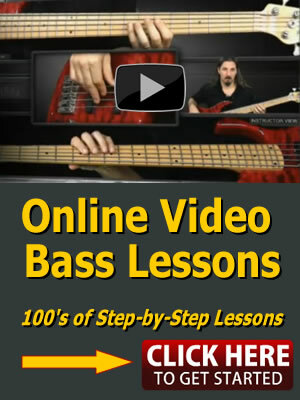 Keep your 4th finger curved like you see me doing in the video bass lesson above. Once you have played this bass finger exercise on the 1st string try moving it to the other 3 strings of the bass. Shawn Bradshaw is the founder of CyberfretBass.com. He received his degree in Jazz Composition from Berklee College of Music.